Nearly one million tourists have visited the cultural and historical sites of Veliko Tarnovo and the region during the last year. That’s an increase of 40 %, it was announced by the mayor of Veliko Tarnovo. The number of bed places available also marks a rise of 200 beds, due to the fact that two new hotels, five guest houses and also another twelve accommodation establishments have been opened during the past year.The total accommodation capacity now amounts to 6000 beds. 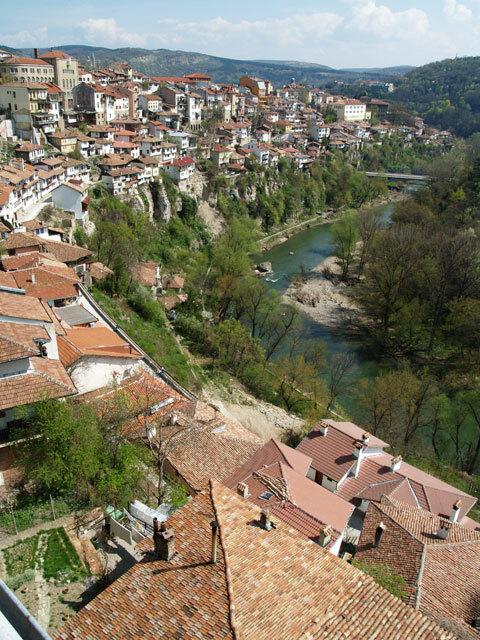 For the improvement of tourist infrastructure and for the creating of new attraction sites the Municipality of Veliko Tarnovo has invested over 7 million leva. Currently new projects are being elaborated; it is hoped that they will be granted funding during the new program period. Under those projects the Shishman’s bath in Asenov quarter will be restored. There are plans for the Museum of Wax Figures to be expanded by a 1000 sqm. Also a new park will be built in the foot of the Tsarevets Hill – bicycle lanes and pedestrian zone will connect the medieval churches in Asenov quarter with the Holy Forty Martyrs church. An artisan street will be set up on Tsarevets Fortress. There will be also a riverside walking track that will go along the picturesque Yantra River near Boris Denev Art Gallery. New parking lots will be built in the Old Town of Veliko Tarnovo – by the churches of Holy Forty Martyrs and St. Dimitar. Architects will discuss the building projects for area where the now demolished Old Military Academy was placed before. Some of the plans provide for the construction of a multifunctional congress centre, a military museum and also an aquarium. It is yet to be decided what exactly will be build there. Veliko Tarnovo Municipality hopes to attract even more tourist after accomplishing all those projects. 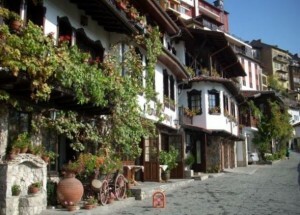 The street s in the Old Part of Veliko Tarnovo are to receive a new look. This is one of the largest reconstruction projects ever to be accomplished in the town. Next year the Municipality will put 15 million leva for a complete makeover of the streets in the Old Part of Veliko Tarnovo. The money comes from Regions for Growth Programme which has already funded the reconstruction of several significant sites in Veliko Tarnovo. The reconstruction project was officially presented at the end of last week and is part of the investment program of the Municipality for the coming year. Some of the streets in the Old Town have not been repaired since the Ottoman Empire reigned the country, virtually from their construction. The Old Town of Veliko Tarnovo is beautiful and very appealing to tourist from near and far; it bears the character of the town and as such is sure to gather attention. However the last 30 years saw it neglected and void of investments. The plan is to gradually repair all streets, including the smaller ones starting from the Central Post Office and those in old neighbourhoods of Varusha and Asenov. Cobblestoned streets will be preserved – the stone paving will be rearranged and upgraded if necessary. New asphalt will be laid on the other streets. Other issues that will be addressed are the drainage and parking problems. New recreation areas and green space will also be set up. The street lighting will also be replaced and improved. We are proud to present you our improved website packed with much more functionality. We’ve worked hard to make it better and easier for you to navigate through. All you need to do is register and you will have access to plenty of features that will guide you through your search for new property. Once you register and log in you can use the new features which will allow you to do so much more on the website. 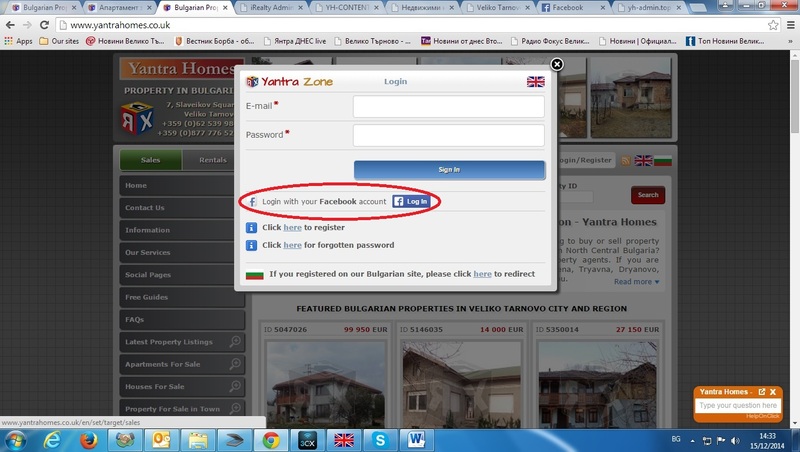 Now you can also log in with your Facebook account to make things even faster. Alternatively you can sign in the standard way. Pavlikeni is organizing its Egg Feast for the fourth time on April, 29th. The celebrations start at 11 am in the Kiril Rakarov Town Park and are going to last 11 hours. Sponsor and co-organizer of the fest will be the local Haypro Egg Factory which will provide 4000 eggs for the day. Cooking contest, concert, competitions and many attractions will be featured in the feast. An egg-shaped photo corner will also be available. Everyone will be presented with the opportunity to taste the delicious omelettes prepared on the spot. This year they will be 1001! Also many egg-related crafts will be demonstrated and there will be many stalls with souvenirs, sweet treats and flowers. A specially designated area will show traditions typical for the villages in the area. A key point in the day will be the cooking competition where everyone can show their skills in preparing appetizers, dishes and desserts from eggs. The jury will be headed by the renowned cook Ivan Zvezdev. All the prizes will be egg-shaped. A large stage will also be set up; throughout the day it will hosts the performances of many artists, musicians and bands.